If you visited one of these 325 Sonic Drive-In locations from April 7, 2017 through October 28th, 2017 and made at least ONE qualifying purchase using a credit or debit card, you may get up to a $40 Check! 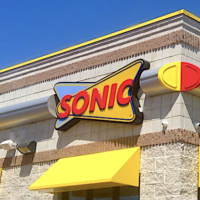 This settlement is about how Sonic Drive-In did not have adequate safeguards in place and should be held responsible for the Data Breach. Note that this settlement is divided into two categories depending on which one you qualify for. Go here for more details and to file a claim! Keep in mind, this may take months or years to payout. Spread the word!